The Islamic Republic of Iran has entered its fourth decade, and the values and legacy of the Revolution it was founded upon continue to have profound and contradictory consequences for Iranian life. Despite the repressive power of the current regime the immense creativity of popular cultural practices, that negotiate and resist a repressive system, is a potent and dynamic force. This book draws on the expertise and experience of Iranian and international academics and activists to address diverse areas of social and cultural innovation that are driving change and progress. 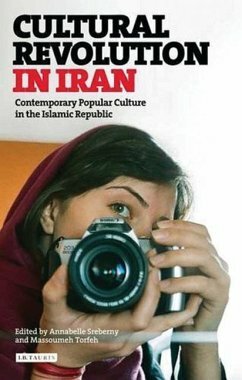 While religious conservatism remains the creed of the establishment, this volume uncovers an underground world of new technology, media and entertainment that speaks to women seeking a greater public role and a restless younger generation that organises and engages with global trends online. Annabelle Sreberny is Professor of Global Media and Communications and Director of the Centre for Media and Film.Massoumeh Torfeh is Research Associate in the Centre for Media and Film. She was previously a senior producer for the BBC World Service.